I don’t drink soda often. When I do, I make sure it is very high quality and a unique flavor, unlike your standard Coke and Pepsi’s of the world. 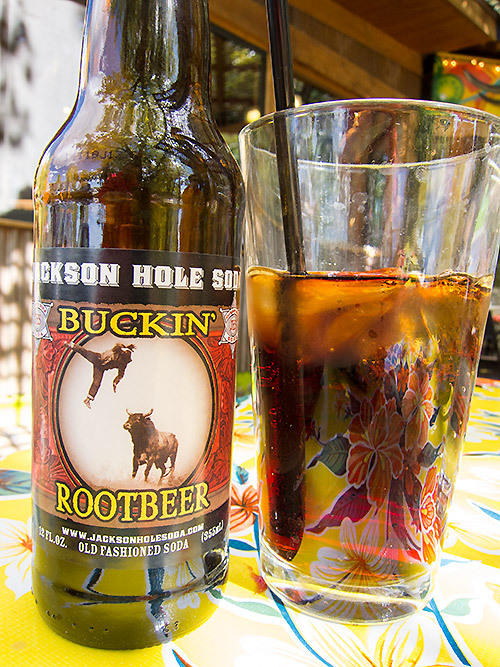 I quite enjoyed Jackson Hole Soda’s Buckin’ Rootbeer. It was great with 1/3 pound garlic burger, helping to reset the taste buds. There’s a good sweetness which is nice, but not over the top. The rootbeer is thick and creamy as well. I’d definitely have another if given the chance.